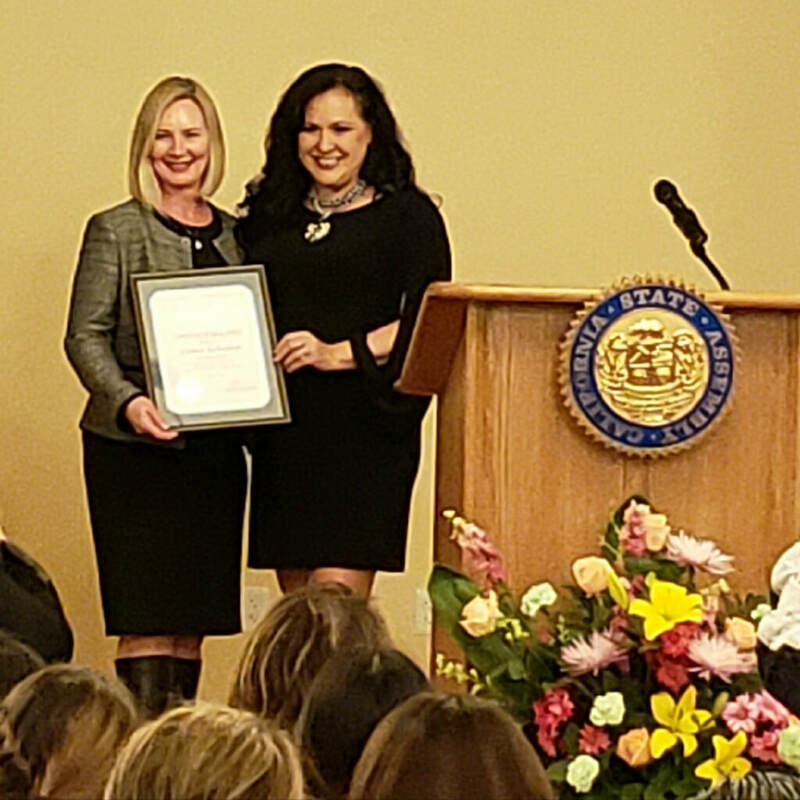 California State Assemblywoman Lorena Gonzales Fletcher recognized more than 40 local women and girls at her 80th Assembly District Women & Girls of the Year Awards Ceremony, held at the Historic Olivewood Clubhouse in National City on March 24, 2018. The event is hosted annually by Assemblywoman Gonzalez Fletcher to celebrate the women who have contributed to our community, each with an inspiring story and exemplifying courage, tenacity, leadership and service. Chula Vista Public Library Foundation president Carmen Richardson was honored as one of the recipients. The Otay Ranch Branch of the Chula Vista Public Library has been chosen as the 2017 National Passport Acceptance Facility of the Year by the U.S. Department of State. It was selected from over 7,500 passport acceptance facilities in the nation. Known as a welcoming and “hassle-free” environment, applicants have praised the passport agents at the facility as being knowledgeable and responsive. This contributed to the U.S. Department of State recognizing the Otay Ranch facility as one that goes above and beyond to educate customers applying for passports through the library’s website, offering convenient hours, photos, walk-in service and weekend passport fairs. Be more than just an armchair traveler. File your application for a new passport or renew an old one at The Hub at Otay Ranch Town Center or the Civic Center library. The hours at The Hub are 11 a.m. to 4 p.m. Monday and Friday and 1 to 6 p.m. Tuesday, Wednesday and Thursday. Hours at the Civic Center branch are 10:30 a.m. to 2:30 p.m. Monday, Tuesday and Friday, and 2 to 6 p.m. Wednesday and Thursday. Click here to learn more and to schedule an appointment. In a hurry? Expedited service is available at The Hub, as well. Patrons can check out Internet Hot-Spots. These devices provide wireless internet access nearly everywhere and fit in your pocket. Patrons checking out a device must be at least 18 years old. Wi-Fi Hot-Spots can be reserved. $1.00 per day overdue fee. 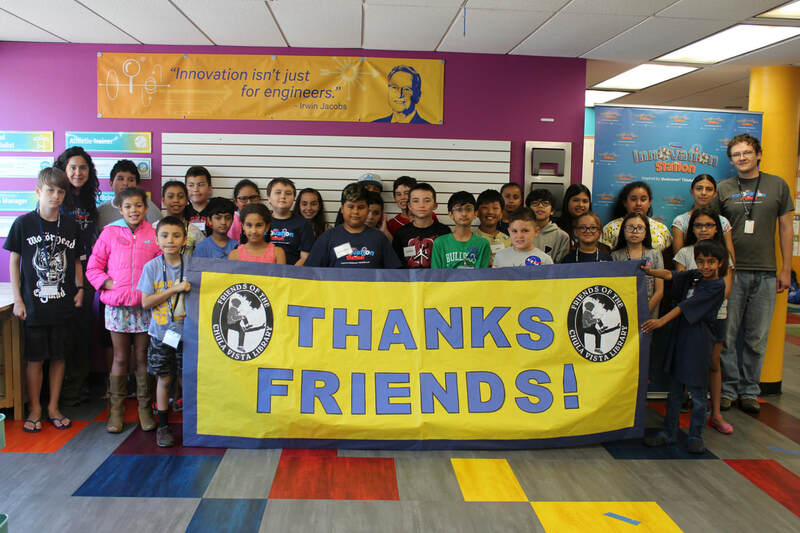 Thank you to the Friends of the Chula Vista Library for all of their support of the programs we have at the library! We had over 70 kids in our STEAM camp, 500 attendees for STEAM Wednesdays and over 1,000 kids attended Lunch and Lab at Civic alone. We have gotten a stack of positive comment cards from happy parents and children who love the services the library offers. This would not be possible without the support from the Friends, so thank you very much! Above is a photo of our campers from this last session of camp, Lego Engineering! The Chula Vista Library branches host weekly S.T.E.A.M. events for children. These Science, Technology, Engineering, Art and Math program are designed to raise interest and awareness of these subject areas as early as possible, in a fun and interesting way. All programs are free of charge and open to the public. For more information, visit the Library's website: www.chulavistalibrary.com . Most of these programs are funded by the Friends. The Library hosted the Summer Reading Program, “Reading By Design” for children, teens, and adults. The STEAM-related theme followed the national approach to student learning that incorporates Science, Technology, Engineering, Art and Math. Activities were free of charge and ran from Saturday, June 3 through Saturday July 15. In addition, the Civic Center and South Chula Vista Branches served free lunches and snacks for children ages 1-18, weekdays through the month of June. The summer lunch program was sponsored by the U.S Department of Agriculture in conjunction with the Chula Vista Elementary School District. Many events were sponsored by the Friends of the Library. Summer Reading Programs are traditional and fun ways for libraries to promote learning and reading over summer school breaks. Studiesshow that reading inspires creativity and a life-long love of learning. It also helps children and teens retain and enhance reading skills gained during the school year, and promotes academic success in every area. With teens and adults joining, the Summer Reading Program encourages the entire family to read for pleasure, individually or together. The Innovation Station is a maker space and community STEAM lab inspired by Qualcomm® Thinkabit Lab™. STEAM is an acronym that stands for Science, Technology, Engineering, Art, and Math. This successful program is a collaboration between the Chula Vista Public Library, Qualcomm, and the Chula Vista Elementary School District. The California State Library is a partial funder of the original “Innovation Station” concept and is interested in promoting it as an innovative model for other libraries and their partners. Funding for the upgrade of this space in the lower level of the Civic Center library branch also came from the Friends of the Library and the Chula Vista Public Library Foundation. 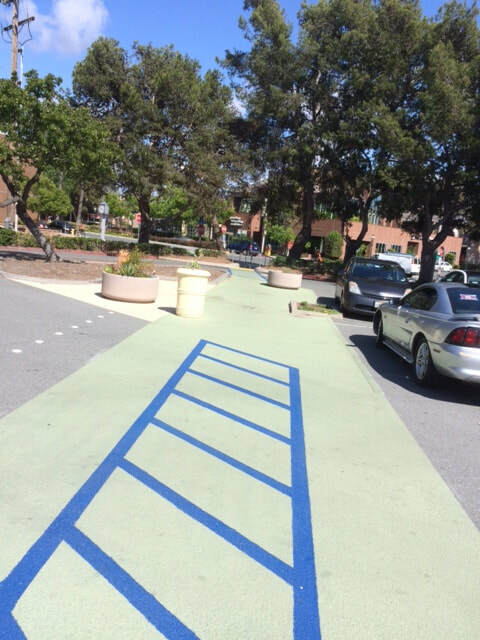 The parking lot at the Civic Center library is now a more pedestrian-friendly space, thanks to a 2015 $20,000 grant from the Chula Vista Charitable Foundation. The library has converted part of the area east of the building into a "parklet" that can serve as a community gathering space and a natural extension of Friendship Park to the north. 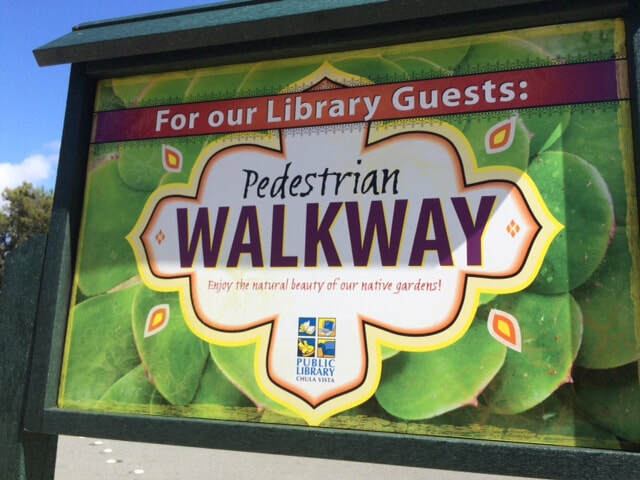 The new space also enhances pedestrian safety and access to the library entrance. The Library offers adults ages 19 and older the opportunity to complete their high school education. Career Online High School’s accredited program lets adults earn a high school diploma and credentialed career certificate. Brought to public libraries by Gale, a Cengage Learning company, the program prepares students for careers, whether they are entering the workplace for the first time or want to advance in their current job. The library offered six scholarships to eligible Chula Vista residents last year. Participants may be able to transfer high school credits that they have already earned. To begin, applicants simply use their Chula Vista Library card (or apply for a free card through the library’s website,www.chulavistalibrary.com) and complete an online self-assessment test on the library’s website. Click on Services, then Career Online High School, then self-Assessment. Details of the program can be found on the library’s site. Those eligible for the scholarship will be contacted for a personal interview in the library. Classes are held entirely online, giving students access to coursework around their own schedule 24 hours a day. Participants will receive support from certified instructors and an academic coach, earn a diploma and a certificate in one of eight high-demand, high-growth fields: Child Care and Education, Certified Protection Officer, Certified Transportation Services, Office Management, Homeland Security, General Career Preparation and Professional Skills, Retail Customer Service Skills, and Food and Customer Service Skills. They will graduate with a resume, cover letter and other tools to start or advance their career. In addition to earning a certificate, the program gives graduates tools needed to seek employment, including biweekly online seminars, monthly webinars and lessons in creating a cover letter and resume. The California State Library provided funding for three scholarships through a competitive grant process. The Friends of the Library added the required matching funds to offer a total of six scholarships, valued at $1100 each. Career Online High School is accredited by the AdvancED Accreditation Commission. If you love magazines, here's a way to feed that addiction without blowing your budget or cluttering up the living room coffee table. The library now offers more than 100 popular magazines online, through an agreement with the San County Library and Zinio, a digital newsstand. Magazines may be downloaded at no charge to your computer or mobile device. Better yet, there is no limit on the number of digital magazines you can check out at a time, and they will stay on your device until you choose to delete them. Interested? Click here to go to the Library's Digital Resources page to explore the Zinio magazine collection. Kids can go digital, too, thanks to BookFlix, an online e-reading program from Scholastic that combines popular children’s books with related nonfiction titles. Children can watch their favorite books come to life, and then click on a link to learn more about a particular subject. BookFlix includes a read-along option that provides word-by-word highlighting as books are read aloud. Other features include educational games and activities, author interviews and biographies, and narrated text for beginning readers and those new to the English language. Want to start a book club? Or do you just need a little inspiration for the club you already have? Then, check out the library's "Book Club in a Box." Librarians at the Chula Vista Public Library have collected more than a dozen titles and made them available to book clubs - complete with author information and club-friendly discussion questions. Books are available for a three-month loan. Visit your branch library's information desk for details.